Compact and great sounding, this MicroMiniature Electro-Voice microphone is a perfect choice for providing faithful, clear sound - it reproduces both deep bass tones and crystalline treble frequencies with its expanded 50 Hz to 18 kHz frequency response. 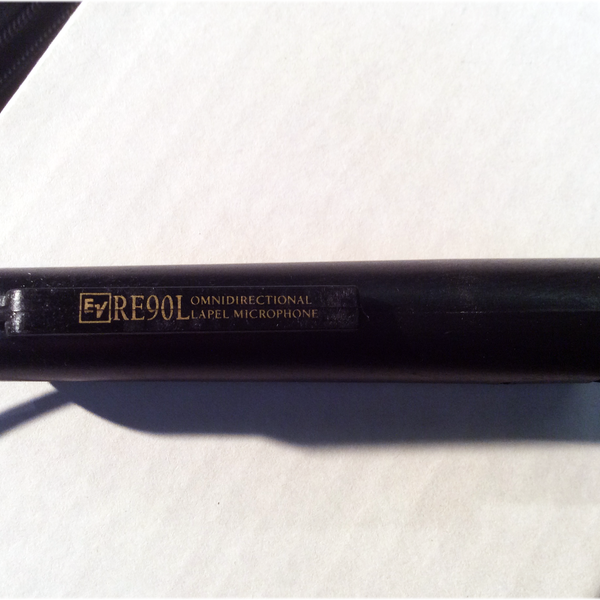 Intended for sound reinforcement applications such as houses of worship, schools, or other venues where full-range, natural, well-balanced sound is required, the extremely compact size of the RE90L mic makes it ideal for performance or house of worship applications where the microphone must remain as inconspicuous as possible. Designed to attach to your clothing using supplied clips; clear medical tape is often used to affix it in more subtle ways for theatre or other situations where an incognito approach is most desirable. The electronics housing also features a side clip to facilitate attachment to belt or pocket, keeping its overall appearance to the viewing audience to a minimum. 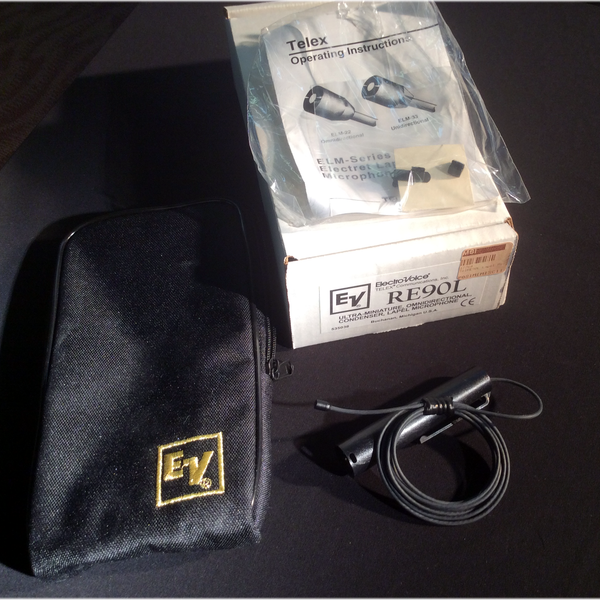 The Electro-Voice RE90L Lapel Microphone has an omnidirectional back-electret condenser capsule, offering exceptional clarity and fidelity in a very small footprint; professional announcers, comedians, and singers are constantly amazed by the sensitivity and clarity of this microphone. 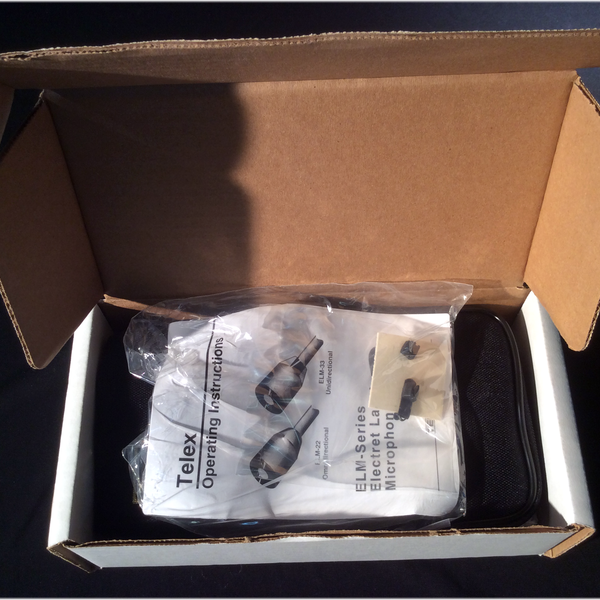 This microphone is quite sensitive, with an effective output level of -29 dBm, offering the ability to accurately capture all kinds of vocals, speech, acoustic instruments, or other audio sources with plenty of available gain-before-feedback. 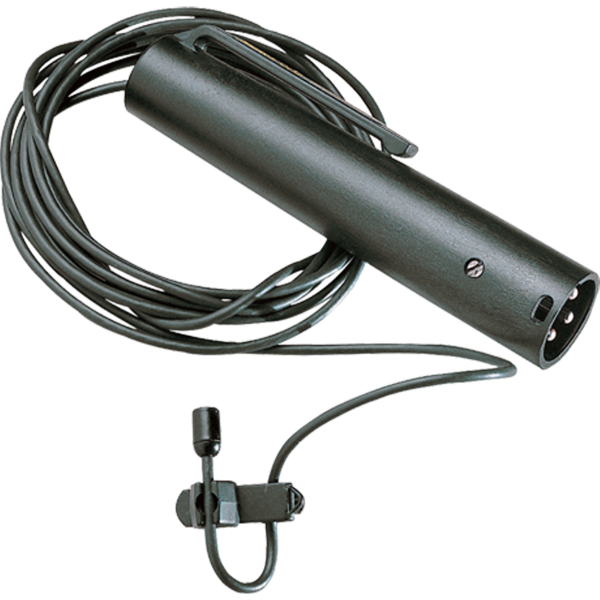 The omnidirectional element is nearly immune to wind noise (making it a good choice for outdoor events), and minimal proximity effect, so the levels you set are the levels you get, providing clean and accurate sonic quality and uniform output regardless of the microphone's position relative to the sound. 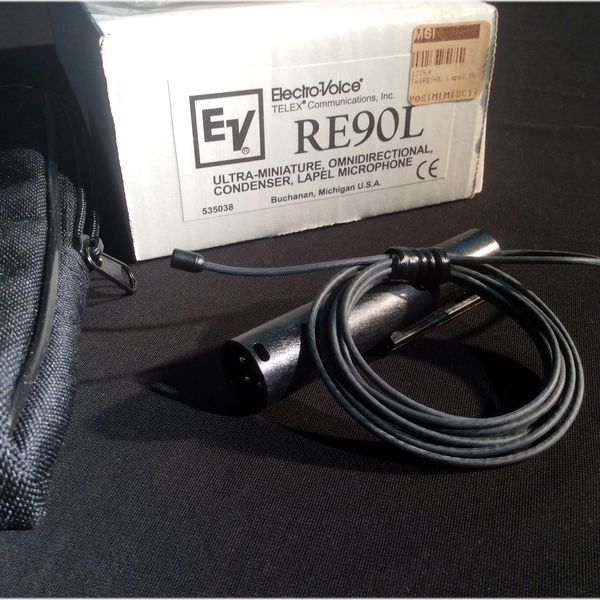 The Electro-Voice RE-90L is a good solution when you need to inconspicuously wire up a speaker or presenter with confidence – so you’ll get great results, no matter how close the presenter may suddenly get to the mic element. The RE-90L is lightweight and portable, storing safely away in its companion black zippered pouch case. Length = 93 mm (3.65"